are a generation like no other. In addition to growing up in the tumultuous sixties and seventies, they were the first to experience the full benefit of modern medicine, changing attitudes about nutrition and exercise, and the advent of plastic surgery. As a result, they have been able to maintain a youthful appearance far longer than any other group (at least most of them have!). 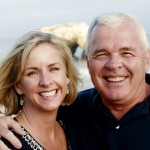 However, there is a part of the Fountain of Youth that many boomers may be overlooking—their smiles. Orthodontics have been around in some form for the better part of a hundred years, but the braces of the sixties and seventies were more costly and available to fewer people than they are today. As a result, many people who grew up in those days may not have the straightest teeth. It is a shame that folks who are otherwise able to look so young… for so long… are missing a piece of the puzzle. With all the effort put towards eating right, staying fit, and otherwise taking care of themselves, there is no reason why boomers should not look into having beautiful teeth! There are many benefits to getting braces at any age at Chadwell Orthodontics. Everyone wants a straight and gorgeous smile and the positives do not stop with appearance. When teeth are crowded or badly positioned, it can lead to serious problems in the future. A poor bite can affect the function of the teeth and can even lead to tooth loss and gum disease. So don’t wait any longer for the smile you deserve! There is no better time than the present to schedule a complimentary exam with Dr. J. Brandon Chadwell. We can check out your teeth and bite and make recommendations for improvement. There are many new treatment options available to reduce treatment time and discomfort. Invisalign … the “Braceless” alternative to straighter teeth is for those who are self-conscious about wearing braces. Find out for yourself which option best suites your needs. If you think braces are only for kids, it may be comforting to know that one in four orthodontic patients today are adults. You are in good company! Get that perfect finishing touch—a smile that matches the rest of you! Contact our office today for a complimentary orthodontic consultation. We look forward to making you smile.